Stunning and breathtaking pictures sis, wat a beautiful cupcakes, prefect frosting and prefect for the women's day celebration..Happy W day to u too. wow such a cute cupcake Divs :) very pretty and elegant I really love your first click :) those colors are so lovely and girly... superb post and I am sure Thara loved it no doubt. Rose bug bit you too :P, hugs and thanks for the mention. awesome ! 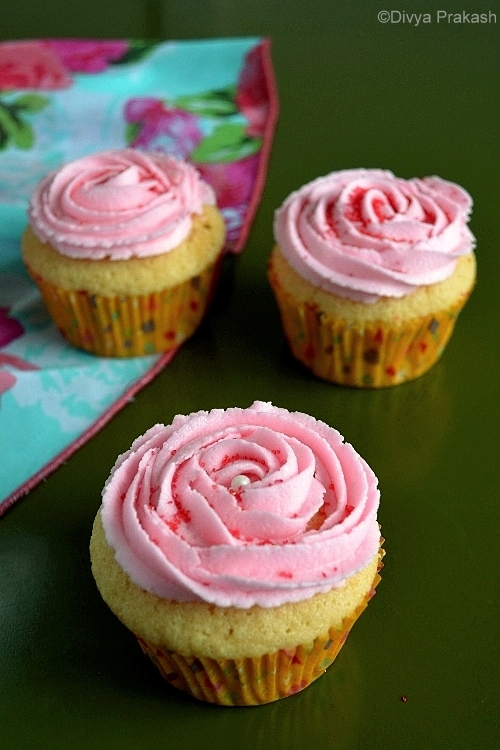 love the rose flavored frosting !can u tell me where can I find rose essence here in US? 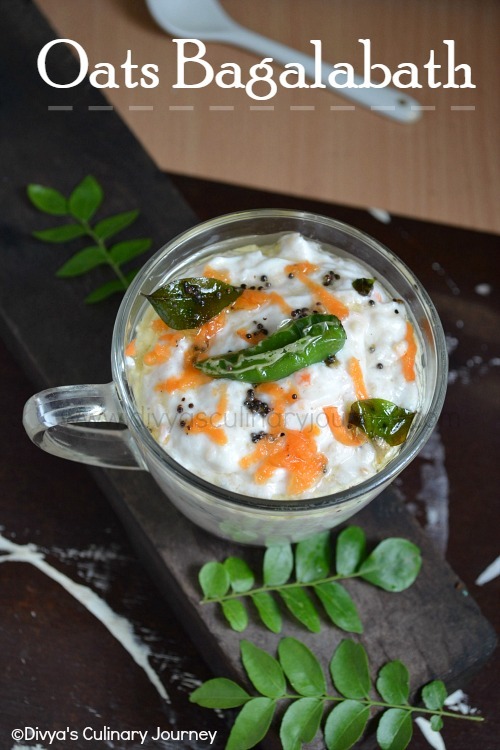 Hi Shree, Thanks! I got rose essence from nearby Indian store. You can try in Indian store near you. look awesome n fabulous cup cakes...... Beautiful clicks too! where is my share divya? Beautiful cupcake Divya, Lovely frosting. 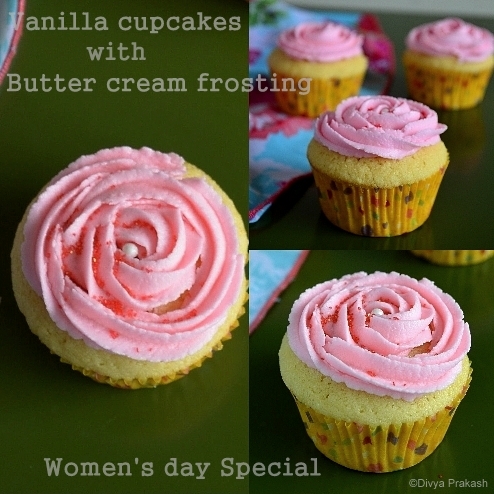 Very cute n beautiful cupcakes, rose icing looks perfect...awesome pics Divya! loved your photography style...nice! very beautiful cupcakes divya :) look so pretty..
Beautiful beautiful roses on the cupcakes. Awesome cupcakes and rose icing was very beautiful. Wow cupcakes look gorgeous dear, luv the frosting. beatiful decorations. do visit me too. wow, it looks yummy.loved the frosting. Bookmarked ! 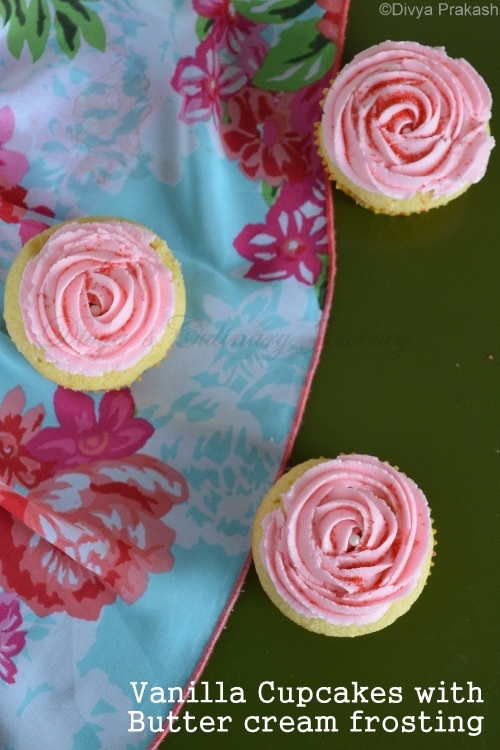 wow... wonderful looking cupcakes... bookmarked..
lovely clicks, and the frosting is perfect! Divya..you ve frosted the roses perfectly. I ve tried it and its not as easy as it looks..
first time here. 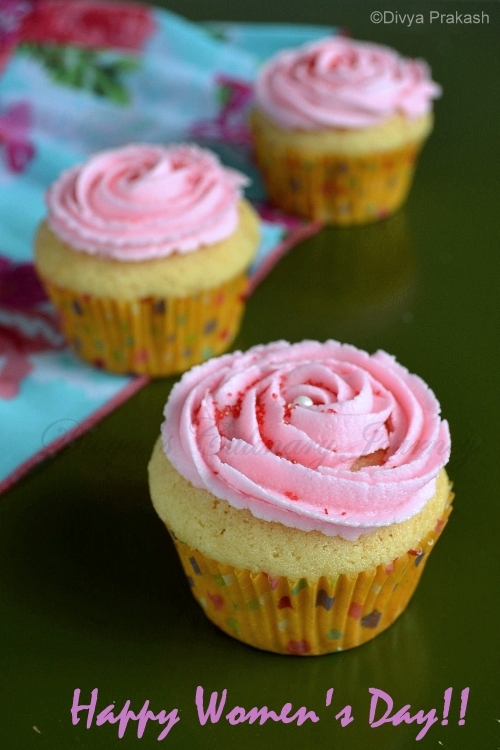 nice blog..the cucakes luks soo perfect. love the presentations..
Looks fab and delicious cuppies, love the pink colour..
Super cake dear, beautifully done!! !